In the opinion of many skiing lovers, the resort of Pampeago is the best starting point for the best ski area in the valley, Latemar (lifts operate from Predazzo and Obereggen as well). 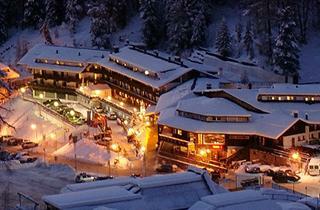 Most hotels are situated next to base stations of ski lifts. The nearest town that provides ample evening entertainment is Cavalese, located within ca. 10-minute drive by car or skibus from Pampeago.